This weekend a team from Pryers tackled the Great North Run to raise vital funds for the Spinal Injuries Association. The 13.1 mile course saw the team run from Newcastle to South Shields, on what turned out to be a very sunny Sunday. Along the way the crowds and local residents offered amazing encouragement, as well as drinks, jelly babies and oranges! The fire service brought their hose pipes to cool us down and the red arrows put on a spectacular display. The team comprised seasoned runners who achieved fantastic times, not all that far behind Mo Farah, as well as those newer to running who had trained extremely hard and covered the half marathon distance for the first time on the day. 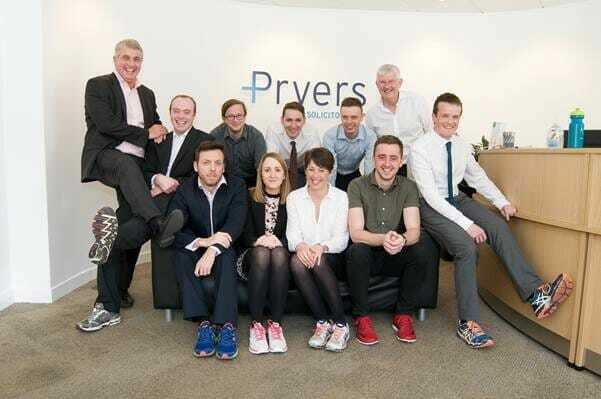 The run is the latest in Pryers’ charity challenges, which follows a grueling Coast to Coast cycle at the end of August. Some completed both the cycle and the run – no mean feat! Needless to say, there are lots of aching legs in the office this week. Pryers are proud to have completed both challenges in aid of our chosen Charity Of The Year – the Spinal Injuries Association (SIA). We are extremely grateful for the support with donations so far, which have allowed us to smash our £4,000 fundraising target! Thank you to all.